First of all, you will need to log in to your Catch NZ account, then you will be able to change your password, newsletter subscription and delivery address details. 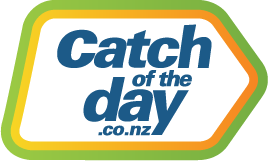 Remember: Up to date details such as email and delivery address make shopping on Catch NZ a breeze! Your account details can be updated as often as you need.